A plasma lamp, illustrating some of the more complex phenomena of a plasma, including filamentation. The colors are a result of the relaxation of electrons in excited states to lower energy states after they have recombined with ions. These processes emit light in a spectrum characteristic of the gas being excited. 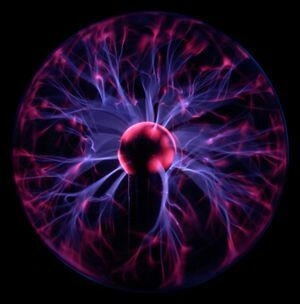 In physics and chemistry, a plasma is typically an ionized gas, and is usually considered to be a distinct phase of matter in contrast to solids, liquids, and gases because of its unique properties. " Ionized" means that at least one electron has been dissociated from a proportion of the atoms or molecules. The free electric charges make the plasma electrically conductive so that it responds strongly to electromagnetic fields. Plasma typically takes the form of neutral gas-like clouds or charged ion beams, but may also include dust and grains (called dusty plasmas). They are typically formed by heating and ionizing a gas, stripping electrons away from atoms, thereby enabling the positive and negative charges to move freely. Plasmas are the most common phase of matter. Some estimates suggest that up to 99% of the entire visible universe is plasma. Since the space between the stars is filled with a plasma, albeit a very sparse one (see interstellar medium and intergalactic space), essentially the entire volume of the universe is plasma (see astrophysical plasmas). In the solar system, the planet Jupiter accounts for most of the non-plasma, only about 0.1% of the mass and 10−15% of the volume within the orbit of Pluto. Notable plasma physicist Hannes Alfvén also noted that due to their electric charge, very small grains also behave as ions and form part of plasma (see dusty plasmas). The Earth's " plasma fountain", showing oxygen, helium, and hydrogen ions that gush into space from regions near the Earth's poles. The faint yellow area shown above the north pole represents gas lost from Earth into space; the green area is the aurora borealis-or plasma energy pouring back into the atmosphere. Plasma properties are strongly dependent on the bulk (or average) parameters. Some of the most important plasma parameters are the degree of ionization, the plasma temperature, the density and the magnetic field in the plasma region. We explain these parameters, and then describe how plasmas interact with electric and magnetic fields and outline the qualitative differences between plasmas and gases. The plasma approximation: Charged particles must be close enough together that each particle influences many nearby charged particles, rather than just the interacting with the closest particle (these collective effects are a distinguishing feature of a plasma). The plasma approximation is valid when the number of electrons within the sphere of influence (called the Debye sphere whose radius is the Debye (screening) length) of a particular particle is large. The average number of particles in the Debye sphere is given by the plasma parameter, Λ. Bulk interactions: The Debye screening length (defined above) is short compared to the physical size of the plasma. 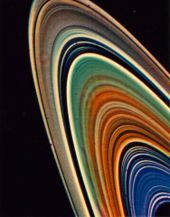 This criterion means that interactions in the bulk of the plasma are more important than those at its edges, where boundary effects may take place. For plasma to exist, ionization is necessary. The degree of ionization of a plasma is the proportion of atoms which have lost (or gained) electrons, and is controlled mostly by the temperature. 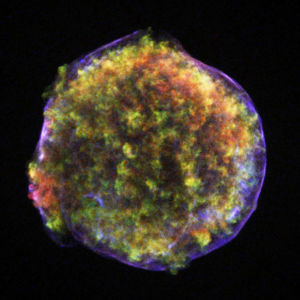 Even a partially ionized gas in which as little as 1% of the particles are ionized can have the characteristics of a plasma (i.e. respond to magnetic fields and be highly electrically conductive). The degree of ionization, α is defined as α = ni/(ni + na) where ni is the number density of ions and na is the number density of neutral atoms. 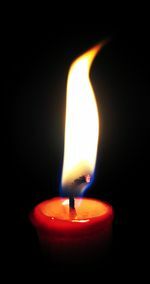 A candle flame. Fire can be considered to be a low temperature partial plasma. Plasma temperature is commonly measured in Kelvin or electron volts, and is (roughly speaking) a measure of the thermal kinetic energy per particle. In most cases the electrons are close enough to thermal equilibrium that their temperature is relatively well-defined, even when there is a significant deviation from a Maxwellian energy distribution function, for example due to UV radiation, energetic particles, or strong electric fields. Because of the large difference in mass, the electrons come to thermodynamic equilibrium among themselves much faster than they come into equilibrium with the ions or neutral atoms. For this reason the ion temperature may be very different from (usually lower than) the electron temperature. This is especially common in weakly ionized technological plasmas, where the ions are often near the ambient temperature. Based on the relative temperatures of the electrons, ions and neutrals, plasmas are classified as thermal or non-thermal. Thermal plasmas have electrons and the heavy particles at the same temperature i.e. they are in thermal equilibrium with each other. Non thermal plasmas on the other hand have the ions and neutrals at a much lower temperature (normally room temperature) whereas electrons are much "hotter". Temperature controls the degree of plasma ionization. In particular, plasma ionization is determined by the electron temperature relative to the ionization energy (and more weakly by the density) in accordance with the Saha equation. A plasma is sometimes referred to as being hot if it is nearly fully ionized, or cold if only a small fraction (for example 1%) of the gas molecules are ionized (but other definitions of the terms hot plasma and cold plasma are common). Even in a "cold" plasma the electron temperature is still typically several thousand degrees Celsius. Plasmas utilized in plasma technology ("technological plasmas") are usually cold in this sense. Next to the temperature, which is of fundamental importance for the very existence of a plasma, the most important property is the density. The word "plasma density" by itself usually refers to the electron density, that is, the number of free electrons per unit volume. The ion density is related to this by the average charge state of the ions through . (See quasineutrality below.) The third important quantity is the density of neutrals n0. In a hot plasma this is small, but may still determine important physics. The degree of ionization is ni / (n0 + ni). 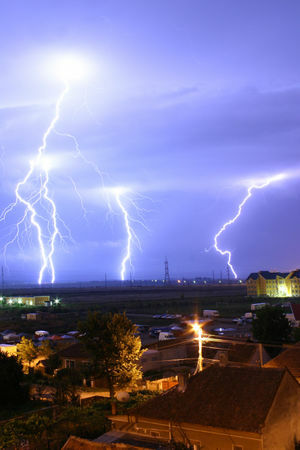 Lightning is an example of plasma present at Earth's surface. Typically, lightning discharges 30,000 amperes, at up to 100 million volts, and emits light, radio waves, x-rays and even gamma rays . Plasma temperatures in lightning can approach 28,000 Kelvin and electron densities may exceed 1024/m3. Since plasmas are very good conductors, electric potentials play an important role. The potential as it exists on average in the space between charged particles, independent of the question of how it can be measured, is called the plasma potential or the space potential. If an electrode is inserted into a plasma, its potential will generally lie considerably below the plasma potential due to the development of a Debye sheath. Due to the good electrical conductivity, the electric fields in plasmas tend to be very small. This results in the important concept of quasineutrality, which says that it is a very good approximation to assume that the density of negative charges is equal to the density of positive charges over large volumes of the plasma ( ), but on the scale of the Debye length there can be charge imbalance. In the special case that double layers are formed, the charge separation can extend some tens of Debye lengths. In astrophysical plasmas, Debye screening prevents electric fields from directly affecting the plasma over large distances (ie. greater than the Debye length). But the existence of charged particles causes the plasma to generate and be affected by magnetic fields. This can and does cause extremely complex behaviour, such as the generation of plasma double layers, an object that separates charge over a few tens of Debye lengths. The dynamics of plasmas interacting with external and self-generated magnetic fields are studied in the academic discipline of magnetohydrodynamics. A plasma in which the magnetic field is strong enough to influence the motion of the charged particles is said to be magnetized. A common quantitative criterion is that a particle on average completes at least one gyration around the magnetic field before making a collision (ie. ωce / νcoll > 1 where ωce is the "electron gyrofrequency" and νcoll is the "electron collision rate"). It is often the case that the electrons are magnetized while the ions are not. Magnetized plasmas are anisotropic, meaning that their properties in the direction parallel to the magnetic field are different from those perpendicular to it. While electric fields in plasmas are usually small due to the high conductivity, the electric field associated with a plasma moving in a magnetic field is given by E = -V x B (where E is the electric field, V is the velocity, and B is the magnetic field), and is not affected by Debye shielding. For many purposes the electric field in a plasma may be treated as zero, although when current flows the voltage drop, though small, is finite, and density gradients are usually associated with an electric field according to the Boltzmann relation. Any electric currents in the plasma "couple" (ie., connect and influence) strongly to magnetic fields, resulting in a large variety of structures such as filaments, sheets, and jets. Collective phenomena are common because the electric and magnetic forces are both long-range and potentially many orders of magnitude stronger than gravitational forces. Whereas collisional interactions always lead to a Maxwellian velocity distribution, electric fields influence the particle velocities differently. The velocity dependence of the Coulomb collision cross section can amplify these differences, resulting in phenomena like two-temperature distributions and run-away electrons. Each particle interacts simultaneously with many others. These collective interactions are about ten times more important than binary collisions. Narrow sheets with sharp gradients, such as shocks or double layers which support rapid changes in plasma properties. Double layers involve localised charge separation, which causes a large potential difference across the layer, but does not generate an electric field outside the layer. Double layers separate adjacent plasma regions with different physical characteristics, and are often found in current carrying plasmas. They accelerate both ions and electrons. A schematic representation of the Heliospheric current sheet, the largest structure in the Solar System, resulting from the influence of the Sun's rotating magnetic field on the plasma in the interplanetary medium ( Solar Wind). It is sometimes informally refered to as the 'Ballerina Skirt' model. .
Quasineutrality of a plasma requires that plasma currents close on themselves in electric circuits. Such circuits follow Kirchhoff's circuit laws, and possess a resistance and inductance. These circuits must generally be treated as a strongly coupled system, with the behaviour in each plasma region dependent on the entire circuit. It is this strong coupling between system elements, together with nonlinearity, which may lead to complex behaviour. Electrical circuits in plasmas store inductive (magnetic) energy, and should the circuit be disrupted, for example, by a plasma instability, the inductive energy will be released as plasma heating and acceleration. This is a common explanation for the heating which takes place in the solar corona. Electric currents, and in particular, magnetic-field-aligned electric currents (which are sometimes generically referred to as Birkeland currents), are also observed in the Earth's aurora, and in plasma filaments. Narrow sheets with sharp gradients may separate regions with different properties such as magnetization, density, and temperature, resulting in cell-like regions. Examples include the magnetosphere, heliosphere, and heliospheric current sheet. Hannes Alfvén wrote: ""From the cosmological point of view, the most important new space research discovery is probably the cellular structure of space. As has been seen, in every region of space which is accessible to in situ measurements, there are a number of `cell walls', sheets of electric currents, which divide space into compartments with different magnetization, temperature, density, etc ." The Critical ionization velocity is the relative velocity between an ionized plasma and a neutral gas. It is sufficient to substantially energise any neutrals which lose an electron. This energisation feeds back to cause yet more ionization, and the process can run away, to almost completely ionize the gas. Critical phemonema in general are typical of complex systems, and may lead to sharp spatial or temporal features. It is possible to create ultracold plasmas, by using lasers to trap and cool neutral atoms to temperatures of 1 mK lower. Another laser then ionizes the atoms by giving each of the outermost electrons just enough energy to escape the electrical attraction of its parent ion. The key point about ultracold plasmas is that by manipulating the atoms with lasers, the kinetic energy of the liberated electrons can be controlled. Using standard pulsed lasers, the electron energy can be made to correspond to a temperature of as low as 0.1 K,­ a limit set by the frequency bandwidth of the laser pulse. The ions, however, retain the millikelvin temperatures of the neutral atoms. This type of non-equilibrium ultracold plasma evolves rapidly, and many fundamental questions about its behaviour remain unanswered. Experiments conducted so far have revealed surprising dynamics and recombination behaviour that are pushing the limits of our knowledge of plasma physics. The strength and range of the electric force and the good conductivity of plasmas usually ensure that the density of positive and negative charges in any sizeable region are equal ("quasineutrality"). 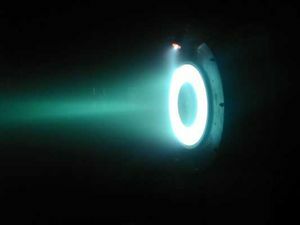 A plasma that has a significant excess of charge density or that is, in the extreme case, composed of only a single species, a called a non-neutral plasma. In such a plasma, electric fields play a dominant role. Examples are charged particle beams, an electron cloud in a Penning trap, and positron plasmas. The Metroid series often has a plasma-based weapon, except in Echoes, where it was replaced by a laser based weapon, which behaved like plasma.